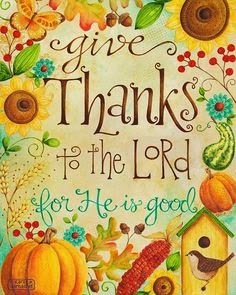 Just wanted to wish you and your families a very blessed and happy Thanksgiving today. Hope your day is filled with much to be thankful for, and of course, many memories. Hope you and your family have a wonderful Thanksgiving also! Yes, the Lord is good!